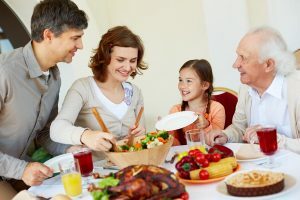 Eye health is one of those things that many of us don’t really think about while planning a holiday feast. But since just about everything in our life relies on having accurate vision, it’s safe to say that eating eye health-focused foods should be a priority. Yet that brings the question, what foods actually support your eye health? These healthy choices are actually full of vitamins––particularly, vitamin C and vitamin A. Since we know that Vitamin A is imperative for improving your vision, it’s safe to say that consuming these foods can bring about some amazing results! Broccoli and brussels sprout also have lutein. By eating these vitamins, you will be both boosting your retinal strength and preventing retinal damage from happening in the first place. It’s very important to maintain a healthy diet if you want stay in good shape, and you can simultaneously improve your eye health while doing so! These foods can help prevent eye issues from happening in the first place. Eating healthy on Thanksgiving doesn’t have to be difficult, and knowing that you’re promoting your vision is a treat in itself! If you have any questions about other ways you can improve your eye health, please contact us at Bellaire Family Eye Care. Another part of overall health is getting regular checkups, so give us a call today at (713) 664-8087 to schedule your appointment.